According to new purchasing manager surveys from the ISM and Markit, the US services sector is in great shape. 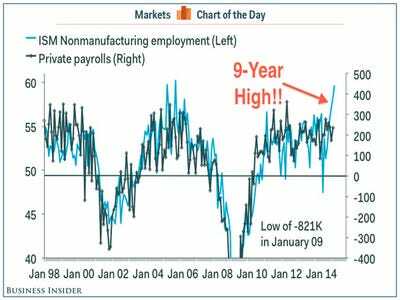 Economists noted the unusually strong ISM employment sub-index which jumped to 59.6, the highest level since August 2005. Combined with today’s better-than-expected ADP private payrolls report, it’s starting to seem more likely that this coming Friday’s official payrolls report could beat expectations. Currently, economists forecast nonfarm payrolls climbed by 235,000 in October, driven by a 224,000 gain in private payrolls. 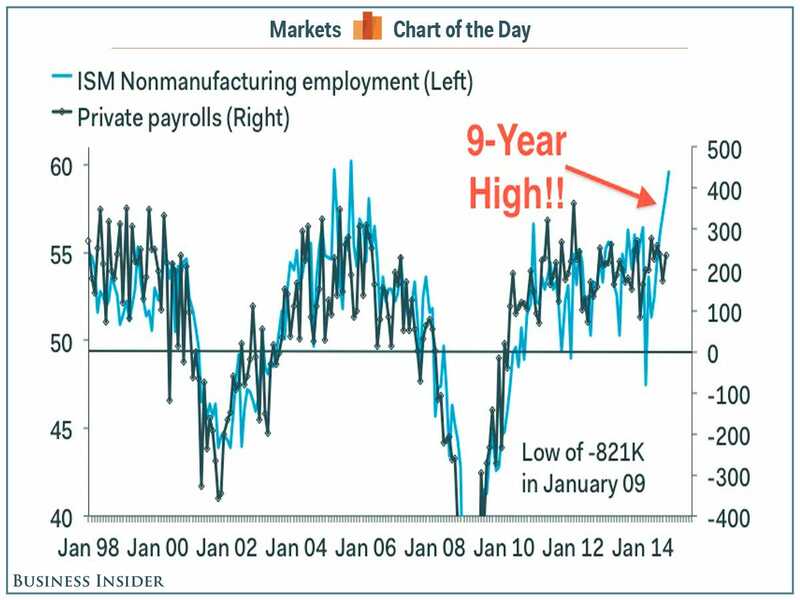 300,000 would be very strong for private payrolls. Of the 44 economists surveyed by Bloomberg, the highest estimate is 265,000.